How do I request items? How do I use my PIN? 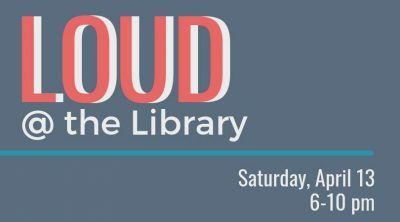 We’re celebrating our third year of LOUD @ the Library! Join us for an after-hours party with great food, drinks, live music, and fun(d)raising. What: An after-hours library PARTY! Live music by folk musician John Peterson and Platteville’s own Adam Bartels Band. This event will be catered by Downtown BBQ. Tickets are $20 in advance and $25 at the door and include admission, BBQ, and beer/wine. Non-alcoholic beverages will also be available. Advance tickets can be purchased at the Platteville Public Library. All proceeds support library programs and collections. The event is sponsored by the Platteville Library Foundation, which is a member of the Southwest Wisconsin Community Foundation, a 501(c)(3) organization. Make a safe and secure payment to the Platteville Library Foundation through the Community Fund of Southern Wisconsin.